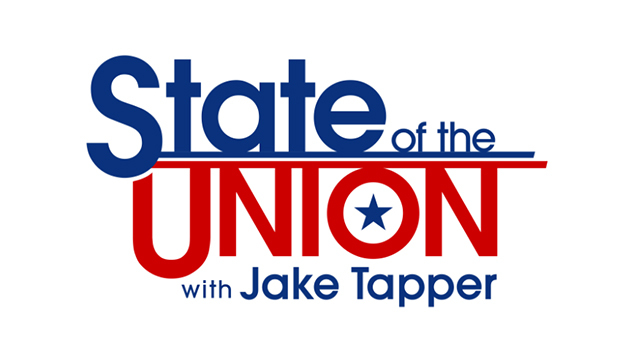 Today on CNN’s State of the Union, Senator Bernie Sanders democratic presidential candidate, joined anchor, Jake Tapper to discuss his tax returns, the possibility of another debate and more. JAKE TAPPER, CNN HOST: With the Wisconsin primary just two days away, Hillary Clinton and Bernie Sanders spent the weekend sniping at each other. He demanded an apology for being called a liar. She called him desperate. She says he’s playing games over a debate day. He says she’s the one blocking it. Last night, they took to the same stage, and each insisted the other will lose to Donald Trump. SEN. BERNIE SANDERS (I-VT), DEMOCRATIC PRESIDENTIAL CANDIDATE: For the Democratic Party to succeed, we need a vibrancy, and we need an energy, and we need a level of grassroots activism that we do not have at this moment. HILLARY CLINTON (D), PRESIDENTIAL CANDIDATE: I think we need a nominee who’s been tested and vetted already. CLINTON: And for 25 years, they have thrown everything they could at me, but I’m still standing. TAPPER: Joining me now is Senator Bernie Sanders of Vermont. TAPPER: You have gotten into a back-and-forth with Secretary Clinton about money from the fossil fuel industry. Hillary Clinton says she is sick of your campaign lying about her. You demanded an apology. Her campaign is now calling you desperate and says that you have clearly decided your only path to victory is through misleading attacks. TAPPER: I want to give you an opportunity to respond. SANDERS: Well, according to a Greenpeace analysis of campaign finance reports, the Clinton campaign, in the broader sense, including their super PAC, have received $4.5 million from fossil fuel interests; 43 paid lobbyists of the fossil fuel industry have made maximum contributions, the maximum contributions they could to the Clinton campaign. No, we were not lying. We were telling the truth. And the point here is that climate change is one of the great crises facing this country. We have got to stand up to the fossil fuel industry, transform our energy system, not take money from paid lobbyists from that industry. And they gave you three Pinocchios, sir. SANDERS: Well, let the voters decide whether paid lobbyists who represent the fossil fuel industry, 43 of them give maximum personal contributions to the Clinton campaign, and whether or not these same people are out in some cases muddling, trying to bring in even more money. I don’t think that we are distorting reality. That’s the simple reality. TAPPER: But you have taken $50,000 from individuals who work for the oil and gas industry. Why is it OK for you and not for her? SANDERS: Because I take money in, and she takes money in from individuals. That’s right, workers in an industry, nothing wrong with that. Jake, that is very different from taking money from lobbyists, people who are working day and night in defense of that industry. And that has been a confusing point. Workers, yes. We get money from workers in every industry in the country. So does Clinton. But there is a difference between getting money from a worker and somebody whose job it is, is to represent that industry. I believe we have got to take on the fossil fuel industry. I think that their greed and their willingness to acknowledge the crisis of climate change is something that has to be dealt with, and I am prepared to do that if elected president. TAPPER: You have said that you’re not going to make an issue out of the FBI investigation into Hillary Clinton’s e-mail server. But a high-profile surrogate of yours, the actress Rosario Dawson, she brought it up this week at one of your rallies in New York. ROSARIO DAWSON, ACTRESS: Shame on you, Hillary. DAWSON: Oh, sorry. Hold on. Let me watch my tone. Well, yes, she is under FBI investigation, thank you. DAWSON: That’s not getting promoted very much, but she is about to be interviewed in a little bit. TAPPER: Now, when it comes to the FBI investigation, are you trying to have it both ways? You don’t make any accusations against her, but one of your highest-profile surrogates does? SANDERS: Hey, Jake, Jake, we have dozens of surrogates, and Rosario is doing a great job for us. She was with me in the South Bronx when we had 18,000 people coming out to start our campaign in New York. We have many, many surrogates who say many, many things. Many of these surrogates do not agree with everything I say. And I do not agree with every approach and everything that they say. And that’s the simple reality. What we have done — and, by the way, there are a lot of people who say, Bernie, why don’t you go after her on her FBI investigation? Why don’t you go after her on the Clinton Foundation money? We have chosen not to do that. What we have chosen to do is run an issue-oriented campaign as to why for 30 years the middle class of this country has been disappearing, why we have massive levels of income and wealth inequality, why we are the only major country on Earth not to guarantee paid family and medical leave, why health care to all our people. Those are the issues that we have been focusing on. TAPPER: So you would rather your surrogates not talk about the FBI investigation, though? SANDERS: Look, we have people who are volunteering their time. As you know, Rosario is a very well-known actress. She has been kind enough to stand with me. She will say what she wants to say. That is not what I want to be focusing on, and I would hope my surrogates do not focus on that issue. We have enormous issues facing the American people. One of the issues we’re talking about every day is kids leaving college $40,000, $50,000 in debt, which is why I want to make public colleges and universities tuition-free and have Wall Street tax on speculation pay for that. TAPPER: Let’s talk about taxes, specifically about your tax returns. I have to say, I’m kind of surprised that you haven’t gone further on transparency. You released the summary page of your 2014 tax returns. Hillary Clinton has posted on her Web site the last eight years of her personal returns, all of the returns. Before the New York primary, will you match her? Will you post your full returns for the last eight years? Our financial situation, to the best of my knowledge, has not changed very much, but we will get out all of that information as soon as we can. TAPPER: You and Hillary Clinton have been trading fire over the timing of a potential debate. You said it was ludicrous for her to propose debating tomorrow night, which, of course, is the final night of the NCAA Finals, Nova vs. Chapel Hill. Hillary Clinton said this morning she’s up for debating on Thursday, April 14. Are you in? SANDERS: I’m not quite sure how that works on our schedule. We may have a major rally being scheduled. We have been talking, I think, to NBC and to CNN, and we’re working on a number of dates. First, I’m very glad that the secretary has accepted the challenge to debate in New York. I think we can work out a date that works for her schedule, that works for my schedule. Doing it during the NCAA Finals or whatever makes no sense. Doing it in the morning, when people are going to — not going to be watching it in large numbers, makes no sense. But I’m confident we work — will work out a time that’s good for both of our schedules and when large numbers of people will be watching. TAPPER: Do you think she proposed tomorrow night because it was competing with the NCAA finals, that she was trying to avoid a lot of viewers? SANDERS: Well — well, I think, you know, who knows? But, you know, if you look at some of those Democratic debates that we have had in the past, many observers have noted that they’re often scheduled on days when the voter turnout — the viewer turnout would not be particularly high. So, I would hope that she would agree with me, let’s do it in a mutually convenient time. She has a rough schedule. I have a rough schedule. Let’s get it on a network where people are going to be watching it, at a time when people are going to be watching it. I think we can work that out. TAPPER: Amen to that, hopefully here on CNN. Senator Bernie Sanders, thanks for joining us. We appreciate it.